As we saw with the Palo Alto flood of 1998, the San Bruno explosion in 2010 and the Santa Rosa wildfires just last year, disasters can happen any time, any place. And, experts tell us, they’re increasing in frequency and severity. Are you ready? All organizations that help in disaster relief recommend that everyone prepare and be ready to be self-sufficient with food and water for at least seven days. Be informed. Know what hazards are most probable in your community and what to do about them. In addition, in Santa Clara County, sign up at AlertSCC for emergency notifications. Make a plan. If normal communication channels were not working, how would you communicate with family members and others? The two most common responses to disasters are shelter in place or evacuate. When would you do either? Do you have enough supplies for either possibility? If you evacuate, where would you go? Get a kit. You can buy ready made emergency kits or you can build your own following the lists of recommended items from organizations such as FEMA. In most cases even ready made kits have to be personalized with medications, eyeglasses, prescriptions, diapers, financial documents, comfort items and other items that are necessary to your family’s comfort and well-being. Get involved. The life you save might be yours or your family’s. Learn First Aid and CPR. 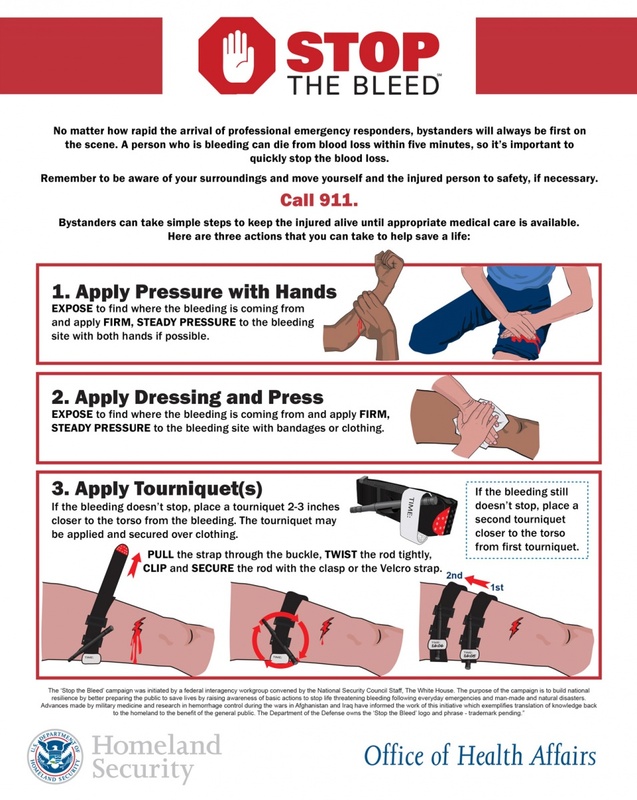 Currently FEMA and partner agencies are promoting these whole community classes: You’re the Help until Help Arrives and Stop the Bleed. Sign up to be an emergency services volunteer. The City of Palo Alto offers free emergency preparedness classes for all residents as well as more specialized classes for residents who sign up as emergency services volunteers.